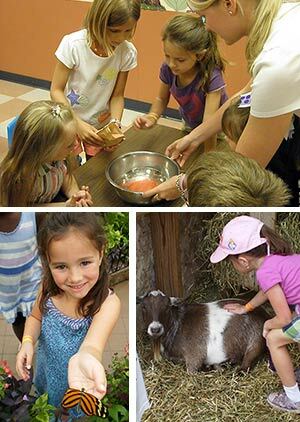 For children who have completed kindergarten, Gingerbread Academy offers a fun-filled summer program that includes our Fun Friday Field Trips, in house field trips, and optional swim lessons. Our core curriculum encompasses art activities, dramatic play, math and language development, and cooking as well as science, nature, and sensory experiments. Fun Friday Field Trips vary year to year, but may include bowling, painting pottery, the Cincinnati Zoo, the Newport Aquarium, and trips to local parks. Gingerbread Academy provides a fun filled, stimulating summer camp program each summer for children who have completed first grade up through sixth grade. Almost daily field trips ensure that your child will make the most of his/her summer. Field trips include the Beach Waterpark, Cincinnati Zoo, a Reds game, local parks and museums, and other interactive sites. The camp program visits the library on a regular basis. While at our facility, the campers participate in art, recreational play, team sports, cooking, science, dramatic play, and computer activities. A session of 8 swimming or diving lessons is optional.